‘Asintado”s chief rival will call it a day. On Friday, GMA’s ‘The Stepdaughters’ will air its final episode. This series, starring Megan Young and Katrina Halili as rivals-turned-stepsisters, enjoyed a long run but was essentially overshadowed by the success of its archrival ‘Asintado’. ‘The Stepdaughters’ first aired on February 12, 2018. The premise of the series was of two women who became rivals via the makeup business: one who is already established in the industry and the other with aspirations of entering said business. Later on, Mayumi (Megan) and Isabelle (Katrina) became stepsisters when Mayumi’s mother married Isabelle’s father. Mayumi also fell in love with Francis (Mikael Daez), even as Isabelle tried to win his trust. While ‘The Stepdaughters’ managed to air 178 episodes by the end of its run, the series’ overall performance suggests that it should have been winning on a consistent basis. Instead, ‘The Stepdaughters’ ran into a brick wall in Julia Montes, whose afternoon series ‘Asintado’ won by an average of 4% in the ratings. But ‘Asintado’ is not the only show that gave ‘The Stepdaughters’ a lot of trouble. In most afternoons, ‘The Stepdaughters’ was aired against ‘It’s Showtime’ and likewise could not keep up with Vice Ganda and company. ‘The Stepdaughters” final two weeks saw the show go up against a new ‘kabitserye’ in ‘Kadenang Ginto’. So far, ‘Kadenang Ginto’ proved to be just as strong an adversary for ‘The Stepdaughters’, as seen by its 4.8% ratings advantage in its pilot episode last week. Regardless of its shortcomings, ‘The Stepdaughters’ proved that it can keep up with the best that ABS-CBN has to offer. Notwithstanding the lack of victories in the ratings, GMA should be more than pleased with the way ‘The Stepdaughters’ battled until the end. 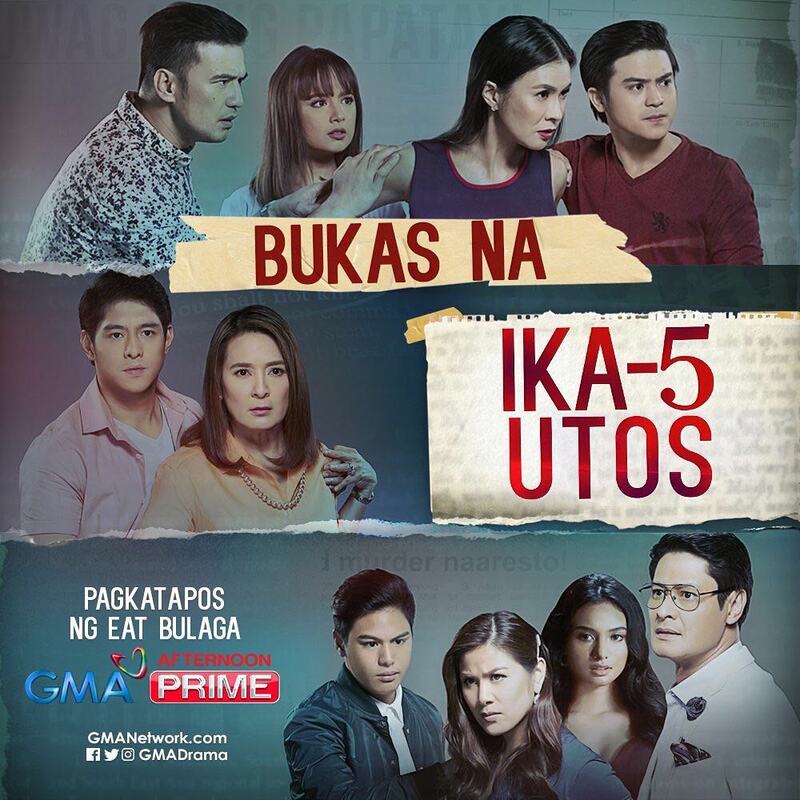 This week will see the conclusion of one of GMA’s most underrated series. One can only hope that ‘The Stepdaughters’ will exit with a bang and leave a lasting impression to its audience. ‘Asintado”s final episode is slated to air this Friday. But in many ways, this series turned out to be unpredictable. First aired on January 15, 2018, ‘Asintado’ was placed in the leadoff slot of ABS-CBN’s Kapamilya Gold. It was to be the comeback series of Julia Montes nearly a year after starring in the long-running afternoon series ‘Doble Kara’. But unlike ‘Doble Kara’, ‘Asintado’ performed on a relatively quiet scale. Debuting with a 17.7% rating, the series hovered between 14-17% for much of its run. Despite that, ‘Asintado”s ratings were more than enough to dispatch its rival GMA dramas ‘Impostora’ and ‘The Stepdaughters’. And considering that it now airs at 3:50 p.m. on a regular basis due to the longer-than-usual running time of ‘It’s Showtime’, ‘Asintado”s performance was still impressive at best. Overall, ‘Asintado’ will have a total of 187 episodes by Friday’s finale. As far as ABS-CBN standards go, this is already a long run. If there is anything to pick up about ‘Asintado’, it is on how some of the cast members adapt to a role they were not used to. Julia Montes, long known for her dramatic skills regardless of being a villain or a protagonist, became more of an action star in this series as her character Ana sought vengeance on the loved ones she lost. Shaina Magdayao, as Samantha, embraced the bad girl role particularly well, that is until it was revealed that Samantha and Ana were actually long-lost sisters. Paulo Avelino, as Gael, was no slouch either in working the good and bad side of his character. In the last few weeks of ‘Asintado’, the focus shifted to Nonie Buencamino’s character Salvador, whom Ana blamed for the murder of her wife (and Salvador’s son) Gael as well as his wife Miranda (Lorna Tolentino). While Nonie”s credits as a villain were few and far between, his portrayal of Salvador may have been his best yet as a heel. That said, the last week of ‘Asintado’ should be a good one. Whether or not Ana gains her much-needed justice remains to be seen, so stay tuned to find out the ending to this story of revenge and vindication. From one advoca-serye to another. Friday marked the final episode of ‘Hindi Ko Kayang Iwan Ka’, an AIDS-themed drama that starred Yasmien Kurdi, Martin del Rosario, Jackie Rice and Mike Tan. The series ran for 132 episodes and posted decent ratings despite airing against ‘Hanggang Saan’ and ‘Araw Gabi’. Even though ‘Hindi Ko Kayang Iwan Ka’ had a rather up-and-down run, its 132 episodes suggest that it was a success. The show fulfilled its purpose of showing one’s struggles of living with AIDS, a deadly disease that remains virtually incurable. Still, with that kind of inconsistency in the ratings it is clear that GMA is still finding a cure for its afternoon mood swings. Which leads to the next series that will replace ‘Hindi Ko Kayang Iwan Ka’. ‘My Special Tatay’, to be led by Ken Chan, will focus on mental illnesses. As the intellectually challenged father Boyet, Ken will portray a man who suffers from Mild Intellectual Disability with Mild Autism Spectrum Disorder. Despite his mental shortcomings and other people’s doubts, Boyet grew up as a kind-hearted man with a positive outlook. However, his life would turn upside down once he finds out that he has a child. Also part of ‘My Special Tatay’ are Jestoni Alarcon, Teresa Loyzaga, Carmen Soriano, Lilet, Candy Pangilinan, Arra San Agustin, Rita Daniela, Jillian Ward, Bruno Gabriel, and JK Giducos. Initial episodes of the series will feature special guest appearances from Matt Evans, Empress Schuck, Valeen Montenegro, and Ashley Rivera. Once again, GMA will use the power of advocacy as a weapon to send a message to its viewers. This time, the focus is on mental health problems and ‘My Special Tatay’ will take a look at how a person deals with intellectual disabilities. However, it remains to be seen if ‘My Special Tatay’ will be more consistent in overcoming ‘Araw Gabi’. While GMA is working on a good cause, high viewer support remains a must and unless ‘My Special Tatay’ proves a point their hard work will go for nothing. Directed by LA Madridejos and Conrado Peru, ‘My Special Tatay’ airs weekdays after ‘The Stepdaughters’ on GMA Afternoon Prime. A new GMA series that focuses on AIDS will enter the fray this Monday. ‘Hindi Ko Kayang Iwan Ka’, which GMA dubbed as an ‘advoca-serye’, will take a look at one of mankind’s deadliest diseases. The series will be led by Yasmien Kurdi, Martin del Rosario, Jackie Rice and Mike Tan. Yasmien, as Thea, is a simple probinsyana with a promising career as a public accountant. She falls in love and marries a handsome and charming lad named Marco (Mike) (against the latter’s mother’s wishes), and is later blessed with fraternal twins. However, Thea’s life soon changed upon testing positive for the HIV virus. After Marco filed for legal separation and takes the two kids with him, Thea loses her will to live as the HIV worsens, until an unexpected meeting with her daughter convinces Thea to fight not only the disease but also herself. While Thea and Marco endures this struggle to live together, two other characters will also play big roles. Lawrence (Martin) is Jackie’s college friend and an AIDS victim, while Ava (Jackie) is Marco’s ex-girlfriend who, despite going in and out of the U.S., is still determined to settle with him. ‘Hindi Ko Kayang Iwan Ka’ also stars Gina Alajar, Shamaine Buencamino, Charee Pineda, Ina Feleo, Mike “Pekto” Nacua, Catherine Rem, Caprice Cayetano and Seth dela Cruz. The series will be directed by Roy Iglesias. This is not the first time that a particular Filipino drama series featured a storyline involving AIDS. Back in 2013, TV5 (now T5N) aired the weekly drama series ‘Positive’ starring Martin Escudero and it also focuses on AIDS. However, in the case of ‘Hindi Ko Kayang Iwan Ka’, it will be a five-times-a-week drama that will delve deeper into one person’s struggles to deal with AIDS. Viewers who know all too well about this deadly disease and the consequences of an afflicted person’s actions should relate to this series as well. Despite the unique premise of this series, it remains to be seen if it will be able to pick up from where ‘Haplos’ left off. That said, the pressure is now on ‘Hindi Ko Kayang Iwan Ka’ to deliver and inspire viewers with a one-of-a-kind story that would make them cry. ‘Hindi Ko Kayang Iwan Ka’ airs weekdays after ‘The Stepdaughters’ on GMA Afternoon Prime.